It has a light emitting diode. It has a light detecting device. The LED converts electrical energy into light energy. The photodiode converts light energy into electrical energy. Due to the recombination of electrons and holes, light is emitted. Due to the generation’s electrons holes pairs, the photocurrent will flow. 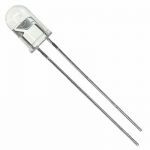 LED is works on the principle of Electroluminence. 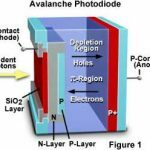 Photodiode works on the principle of photoconduction. 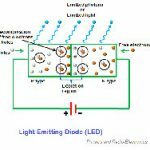 LED changes radiated power due to change in temperature. Photodiodes used in fiber optics communications,commerce, flux meter up to coupler etc. It uses GaAs, GaAsP or GaP materials. It is only uses silicon.